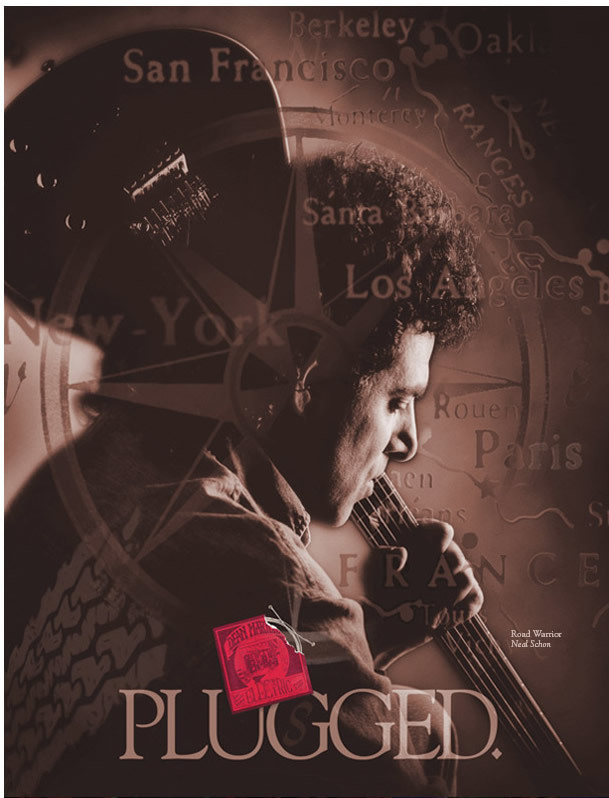 Plugged is a series of ads for electric guitar strings (playing off the popular ‘unplugged’ concerts and recordings). The concept here is a visuaI illumination of the global travels of Neal Schon, a recognized guitarist. The ad in appeared in major guitar magazines worldwide. Freelance for Ramirez & Associates.